Fortune favours the bold, but can they hold on to success once they reach it? Fame, fortune and influence can come quickly and unexpectedly in times of fast technological development! Every day the Internet’s unprecedented reach assists in raising Social Media Monarchs, Blog Wizards, Artistic Geniuses or Political “Passionados” from obscurity into the light of celebrity or to the golden affluence of wealth. However, few of those who make the journey from being unknown, to becoming a public figure, are prepared for the attention that their new status brings. The unpolished conduct and vocabulary of these sudden heroes constantly betray that they are, in fact, newcomers to the table of success, and that they lack the social currency to allow them to play the game well. Celebrity is a two-edged sword that only does this one thing: it puts you in the spotlight. If your background has conditioned you to grab that sword by the blade rather than by the handle, it will influence how your opportunity to use this chance develops. Some lucky people have the skills of bel portarse– “beautiful conduct” to transform themselves into a fixed star of refinement, dignity, and social engagement. Others are forced to choose the path of attention-seeking through starbursting themselves across the sky in a self-consuming blaze of scandals, dodgy reality-tv and flaunty shopping sprees. Success can become one’s ruin if it is not handled correctly and, alas, today there are precious few mentors for those recently crowned with fame and fortune. While it is true that success reveals, and mercilessly magnifies someone’s qualities, the opposite is also true: a consistent display of good character traits heralds that the person is a worthy candidate of elevation to influence and prosperity. And true again: those who are ignorant of the virtues of proper conduct may be permanently prevented from seizing any favourable opportunities, regardless of their competency and many talents. Noble is as noble does: learn the art of princely manners! It is popularly held that one cannot acquire that elusive quality called “class” unless born into a certain social stratum or unless one comes from a family of old money. Thankfully, all the ancient writers of conduct books and etiquette manuals agree that this is not true! 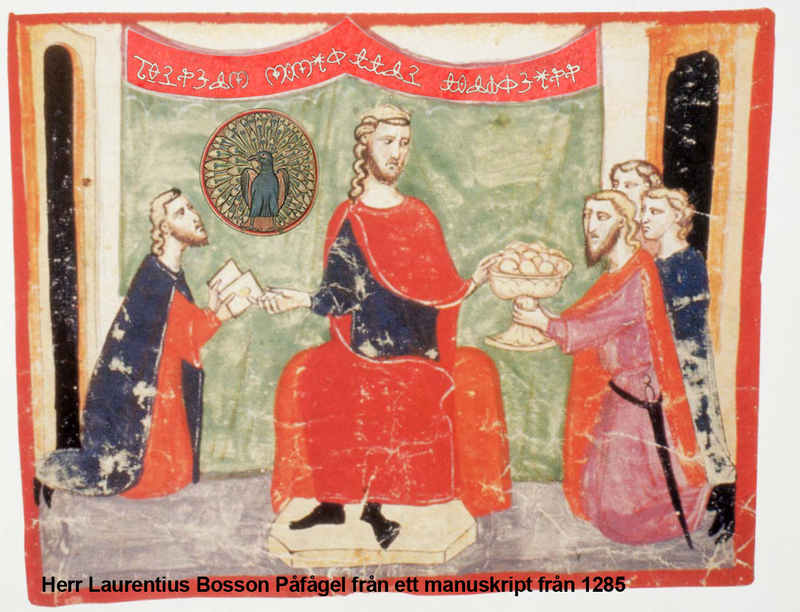 Indeed the whole literary genre of the Specula Principum – “Mirrors for Princes”, from classical to modern times, reveals that not even emperors, kings and princes could rely solely on noble blood or fabulous opulence to point them in the right direction. Princes, and I will use this word in the gender-neutral general meaning of “ruler” throughout this book, have always struggled with the simultaneous blessing and curse of wielding power and enjoying fame. TheMirrors for Princes, and similar handbooks on manners and self-representation,provided curriculums or at least offered reflections on what it means to behave “princely”. These books were filled with ancient wisdom, advice on etiquette, some shining examples of heroes past and present and, often, words of caution against ruling too selfishly. Being a prince was a dangerous and difficult affair and it required the most rigorous training in order to succeed in the vocation. Today, as in the days of old, true princes are far and few between. Contemporary royal families no longer rely solely on inter-marriage between bluebloods, but more often let commoners into their circle. This new tendency for royals to marry outside their own echelon brings the need to institute fast-track training programs for the new in-laws. Enrolling in these courtly curriculums provides the training that the princely born, and nobly bred, acquire during their upbringing. These are the good news: if even princes themselves, with all their mystic lineages and golden crowns, must learn to behave “princely”, then anyone willing to study could achieve the same results! This book, a contemporary Mirror for Princes researched from the best sources, will give you tools to move through social life with all the confidence and dignity of a prince. 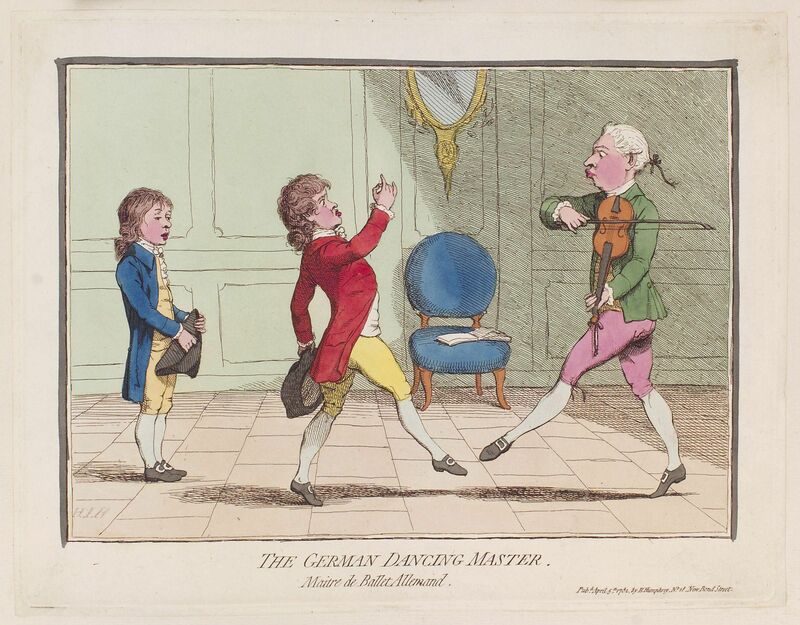 In the old days it was the dance and fencing masters who were responsible for teaching elegance and manners to the sons and daughters of the nobility. Etiquette training at the time taught that it was the control of base and physical impulses that set nobles apart from commoners. The regimen included fencing, dancing, riding, playing instruments and acquiring a familiarity with the culture and protocols of the elite. All these activities aimed to resist gravity’s downward pull on the body, as well as transcending the physical and psychological hardships that was the reality of the vast majority. Thus, being noble came to mean the same as being “refined”, “studied” and “sophisticated”. Physically this translated into an upright position of the spine, an open chest, a lifted chin and carefully measured movements of the limbs. In contrast, the common folk would seem bent and crooked, and with little control of their bodily functions. Manners, from the old French maniere – ”sort” or“method” or “custom”, became a means for the ruling class to distinguish themselves from the rest of the population. Over time, knowledge of these elite “customs” became an identity marker as well as a propaganda tool to legitimize an aristocratic system that kept power and resources within the governing clique. Although etiquette and knowledge of body language was a vital part in my own training as a professional dancer, it was only much later that I started researching the history of manners, and specifically the Mirror for Princes genre, more thoroughly. Now, since I come from a family of caterers and professional party planners, I have attended literally hundreds of parties, weddings and similar social functions. Knowledge of table manners and correct social behaviour, together with a fine-tuned attentiveness to the guests’ needs, form the cornerstones in the event planner’s trade. I was very lucky to be given these tools at an early age, and all those years of serving in the family business provided rich opportunities to observe the activities of the socially adept… …as well as the awkward mishits of the inept. Then, in December 2014, I found myself in a situation where my previous training to achieve elegance of movement, and my family’s transmitted knowledge bank of etiquette and professional hospitality, suddenly wasn’t quite enough. With my fortieth birthday around the corner, I had already started my transition away from the field of dance and choreography a few years earlier, and now I had a fresh master’s degree in contemporary performance art. Armed with my diploma and a sense of adventure I set out on the, still fairly new, field of artistic research. My latest area of interest involved investigating how my childhood fascination for fantasy literature, roleplaying games, magic and European history would translate into a ceremonial and symbol-heavy live art. In an arts grant application I Freudian typed, that is unintentionally misspelled, the name of the city district where I grew up. The district’s mundane name is Lorensbergbut my butterfingers’ late-night stumbling over the computer keyboard alchemically transformed it into Lorenzburg. This seemingly innocent accident has since proved to be one of the most golden opportunities in my artistic career! 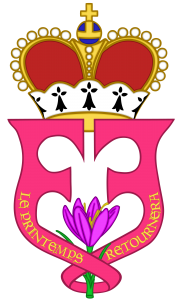 Lorenzburg, or the Most Serene Principality of Lorenzburg, quickly developed from harmless typo to a large-scale community art platform in the shape of a contemporary fairy tale realm. The project was lucky to be supported early on by substantial grants from the local Arts Council as well as from the municipality of Karlstad. Since then I have dedicated most of my research and creativity to developing this “micronation” by initiating super-local projects and by representing the nation as its prince. This is when I discovered that working full time as a monarch requires far more, in terms of tact and knowledge of etiquette, than I already possessed. And so began an extensive research into conduct books, obscure medieval treatises, Mirrors for Princesand authentic renaissance self-help books on the art of being a gentleman. It is my great honour to share some of that research in this book. It’s time to polish your own crown! It doesn’t matter if you were born a prince or a pauper, because nobility is not a genetically inherited character trait but a skill that can be trained. Yes, there are snobs out there who claim that only titles, lineage and family castles have the power to ennoble a man and make him great. These braggarts forget that the word “snob” is an abbreviation of sine nobilitate– “without nobility”, and that such people often attach too much importance on outer appearances. Snobs typically have a naïve belief in status and wealth, but they often lack any real depth. True nobility comes from inside: it requires you to cultivate your attention to others as well as the quality of your heart. While this book certainly will give you hands-on advice on correct conduct in different situations, it is the reflection on the included adages, quotes and historical examples that have the power to really bring out your own inner prince. The material in the different chapters will provide you with some practical tools in order to be confident in various aspects of social life. Reading the book will also give you little snippets of history and culture that you can use to entertain others in conversation. It is important to remember that having good manners is not really about knowing which fork to use, or in which order to greet people in a group. The real currency of having princely manners is that they make you socially attractive by bestowing a kind of confident gravity. If snobs are high-strung perfectionists who seek prestige in upstaging others, princes are calm, kind and generous with their attention and knowledge. 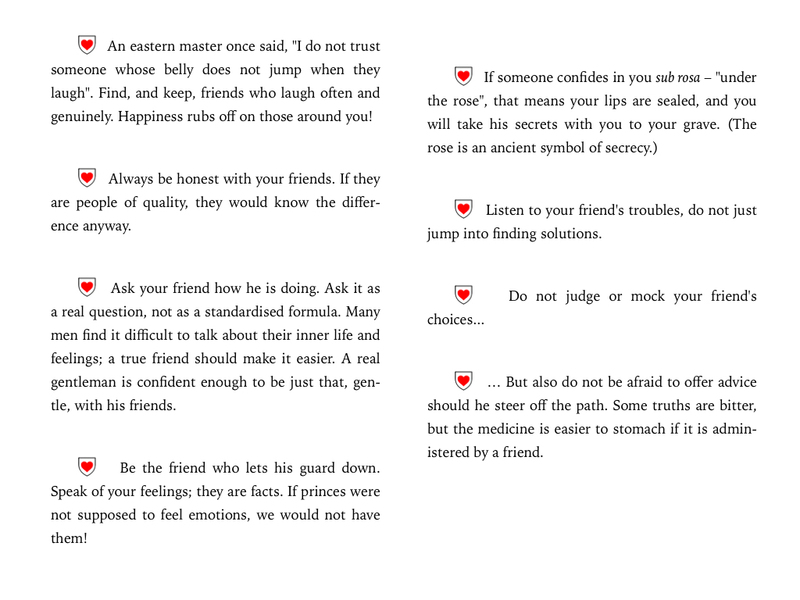 The true mission of this book is to offer timeless advice on how to develop these qualities in yourself. Even though acting like a prince brings internal rewards of patience and openness, it may also open the door to love, friendship, fortune and adventure! 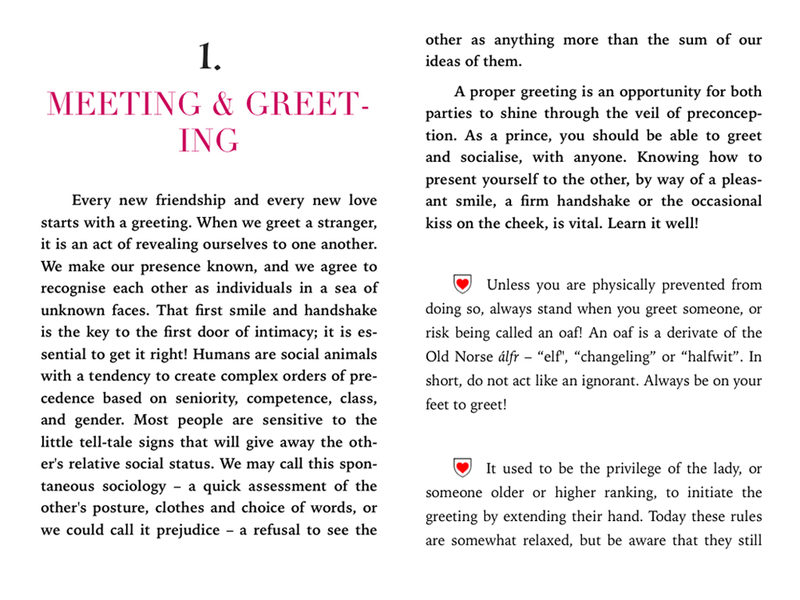 This book is divided into nine chapters and it is only natural that it starts with a discussion on greeting and first appearances. Then follows chapters on conversation, table manners, hospitality, friendship, behaviour towards the ladies, love and marriage, conflict and a last chapter with general tips on how to be a prince in the world. 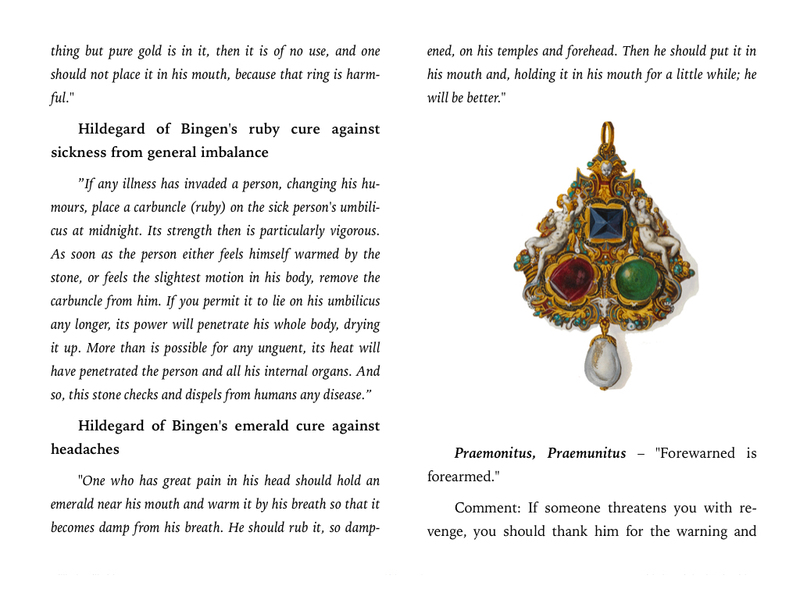 The appendix include an article about micronations and information about the Most Serene Principality of Lorenzburg. Desiderius Erasmus of Rotterdam was a renaissance Dutch humanist and he remains one of Europe’s most important scholars. Originally an ordained priest, Erasmus of Rotterdam lived in an exiting time when the newly invented (in Europe) printing press allowed mass production of books as well as a wider reach of political ideas. His grasp of Latin and classical Greek is considered to have been outstanding and his writing style was remarkably elegant. The corpus of his work include new editions of the New Testament in Latin and Greek; as well as writing manuals and collections of classical adages; and original titles such as In Praise of Folly, Handbook of a Christian Knight, On Civility in Children (Civilitate Morum Puerilium), The Education of a Christian Prince and many more. Erasmus, himself a devout catholic, corresponded extensively with Martin Luther, one of the main figures in the reformation movement. Advocates from both sides of the early protestant-catholic division tried to recruit Erasmus to their position. Even though he remained a catholic, he held fast to the humanist ideals of tolerance, pacifism and reason. Erasmus’ refusal to deviate from the Via Media – middle way, of religiopolitical conflict disappointed scholars of both camps. The main works, penned by Erasmus, that this book draws on are his On Civility in Children and Adagia (proverbs).The original has been kept as far as possible, with minimal change to punctuation, spelling and sentence structure. The comments to Erasmus’ adages are entirely my own. Count Baldassare Castiglione was an Italian humanist, diplomat, courtier and author of the hugely influential work Il Cortegiano– “The Book of the Courtier”. Initially in the diplomatic service of his maternal relative Francesco II Gonzaga – Marquis of Mantua, Castiglione eventually entered the service of Duke Giodobaldo da Montefeltro at his splendid ducal court in Urbino. Because the Duke suffered from pellagra, a deficiency disease caused by a lack of vitamin B3, the court was managed by his wife the Duchess Elisabetta Gonzaga. Under her direction the Urbino court became an important cultural centre in Italy. The refined elegance of the court, along with its illustrious residents, later inspired Castiglione to write The Book of the Courtier.In 1524 Pope Clement VII sent him to Spain to act as Apostolic nuncio( ambassador) at the Habsburgian imperial court in Madrid. Later the Pope accused Castiglione of plotting against Rome in Spain’s campaign against the Legaue of Cognac (an alliance between France, Milan, Venice, Florence and the Papacy). In 1527 Emperor Charles V lost control of parts of his own forces and the troops Sacked Rome and took the pope hostage. Castiglione was eventually acquitted of having plotted against the Holy See and he received the Pope’s personal apology. Castiglione died of the plague in Toledo in 1529. Throughout his life Castiglione had access to the best education and to the most elevated people of his time. Born into the elite class, and in the service of the great, he acquired intimate knowledge of the most refined aspects of European court culture. The Book of the Courtier (1528), a hands-on treatise on the characteristics and virtues of the ideal courtier, remains one of history’s most influential books on etiquette and manners. Although this book doesn’t quote Il Cortegianomore then once, I must include a biography of Baldassare Castiglione in this introduction as his work has been a guiding star in my own reflections on what constitutes princely behaviour. Giovanni della Casa was a poet, writer on etiquette and society, archbishop of Benevento, papal nuncio (diplomat) and inquisitor in Venice. Della Casa was born in Florence into a family that was wealthy and well-connected. His birthplace Villa La Casa can still be visited today. Della Casa’s early education took place in Bologna, Florence and Padua under the tutelage of renowned writers such as Ubaldino Bandinelli and Ludovico Beccadelli. Later, in his own writing career, he produced poetry in reaction to the elegant and lyrical style of Petrarch who, at the time, was regarded as the greatest role model for all poets. Della Casa’s poetry was rougher and had more drive in comparison to Petrarch’s sonnets. Della Casa’s most famous work Il Galateo overo de’ costumi (drafted between 1551 – 55, and published 1558), or simply Galateo, is a treatise on manners. Written in a time when the rules of conduct, that are so well established today, were not yet formulated and universally practiced by the upper classes, the Galateoprovided a humorous instruction in polite behaviour. The book was published after the death of its author but it was an instant success. Editions in French, English, Latin, Spanish and German were widely spread throughout Europe and the work set the foundation for modern etiquette writers. Many of the advice are still useful today. The Galateois written in an everyday language and with a sly sense of humour. The book covers the dos and don’ts of a range of topics including fashion, table manners conversation, joking and general comportment. The quotes in this book are taken from the 1914 edition, edited by Lewis Einstein. The original spelling and grammatical structure of the quotes has been preserved unless they are too distracting. Baltasar Gracián y Morales was a Spanish Jesuit and baroque prose writer and philosopher. He was born in Belmonte and grew up with his uncle who was a priest. Gracián himself studied theology at the Jesuit school in Zaragoza, and he was ordained in 1627. After taking Jesuit vows in 1635 he taught in various Jesuit schools, and he became famous for his (sometimes radical) preaching style. After becoming Rector of the Jesuit College of Tarragona, Gracián wrote several works on courtly conduct: El héroe (The Hero), El político (The Politician), and El discreto (The Discreet One). After publishing the allegorical three-part novel El Criticón(The faultfinder) without the permission of the church, he was sanctioned and exiled to the small Aragonese village of Graus. El Criticón, along with Miguel de Cervantes’Don Quixote,is considered one of the most influential works in Spanish literature. The work cited in this book is Gracián’s Oráculo Manual y Arte de Prudencia– popularly translated as The Art of Worldly Wisdom. First published in 1647, the book is a collection of three hundred maxims with commentary. This gem of baroque writing offers guidance on how to resolve conflicts, how to advance socially, how to enjoy life (and live it fully) and how to become a maturer person. Since the Joseph Jacobs 1892 translation into English may come across as a bit inelegant to the contemporary reader, I provide a new translation of the quoted maxims. I have also included the original numbering of the maxims for easy reference should you, dear reader, wish to read Gracián’s full work. It may be interesting to know that even modern philosophers have praised the Oráculo for its timeless advice on how to live well. The philosopher Nietzsche wrote of the book: “Europe has never produced anything finer or more complicated in matters of moral subtlety…”Schopenhauer, who translated it into German, considered the book to be an invaluable companion for “those who wish to prosper in the great world”. Philip Dormer Stanhope was the fourth Earl of Chesterfield and a British statesman, diplomat, writer, freemason, and a renowned intellectual. Stanhope was born in London and, after the death of his mother, was raised mainly by his grandmother, the Marchioness of Halifax. After completing a year of language and oration studies at Trinity Hall in Cambridge, he embarked on the mandatory upper class “rite of passage” known as a Grand Tour– educational journey around Europe. Such journeys were meant to expose the young nobleman to the cultural legacies of Classical antiquity and the Renaissance, and to polish off any rough edges by inserting him into the polite society of Continental Europe. Stanhope, as Lord Chesterfield, became a prominent member of the Whig party as he assumed his father’s seat in the House of Lords in 1726. In 1733 Lord Chesterfield married Melusina von der Schulenberg, the Countess of Walsingham, but the couple never had any children. However, Lord Chesterfield had had an illegitimate sonalready in 1732 together with theFrench governess Madelina Elizabeth du Bouchet. 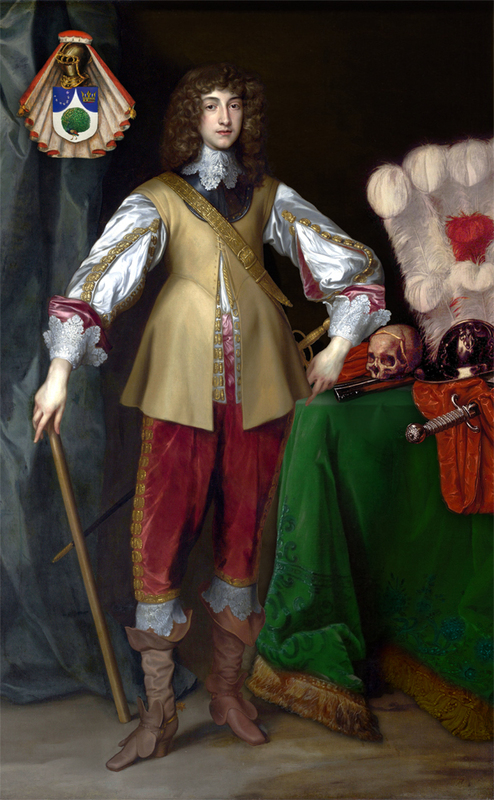 Although Chesterfield’s son, also named Philip Stanhope, was illegitimate he received a privileged education paid for by his father. Lord Chesterfield often wrote fatherly letters of admonition and encouragement to his beloved only son. In spite of Chesterfield’s many warnings, Philip Stanhope got involved in a secret relationship with Eugenia Peters, a woman of humble origins. The couple had two sons out of wedlock and, even though they had been together since 1750, they didn’t marry until 1767. The letters and maxims quoted in this book are taken from a 1902 edition edited by Joseph B. Seabury. The original has been kept as far as possible, with minimal change to punctuation, spelling and sentence structure. The comments to Lord Chesterfield’s maxims in the last chapter are entirely my own. Freiherr (Baron) Adolph von Knigge was a German writer, Freemason, and eventually a leading member of the Bavarian Order of the Illuminati. Knigge was born in Bredenbeck into a family from the lesser nobility. His parents died when he was still very young, leaving behind large debts that forced him to give up the family property. He studied law in Göttingen, where he was an active member of the student community. After finishing his degree in law he was initiated into Freemasonry in the city of Kassel. Then followed a few years of official positions in several minor German courts. In 1780 von Knigge joined the Bavarian Illuminati, a secret society founded by Adam Weishaupt in 1776. The purpose of the Bavarian Illuminati (not to be confused with the supposed secret order of modern-day conspiracy theories) was to champion the enlightenment ideals of reason, liberalism and human rights. Knigge’s affiliation with the group lent them publicity and respectability, however he left the society in 1784 after a lengthy period of conflicts with Weishaupt. Knigge is best known for his book Über den Umgang mit Menschen (On Human Relations). Far from being a mere etiquette book, the treatise has elements of both sociological and philosophical analyses that makes it a unique work on manners. Even today a “Knigge”, in German, is a person of exquisite manners. The original has been kept as far as possible, with minimal change to punctuation, spelling and sentence structure. Alejandro Jodorowsky Prullansky is a filmmaker, writer, comic book writer, playwright, psychologist and spiritual teacher born to Jewish-Ukrainian parents in Chile. Jodorowsky experienced an unhappy childhood and took to reading and writing poetry for comfort. After dropping out of college he founded his first own theatre ensemble the Teatro Mimico in 1947. In the early 1950s Jodorowsky moved to Paris, where he studied mime under the famous actor and mime artist Étienne Decroux. From the 1960s Jodorowsky has been working in Paris and Mexico City. In Paris he became one of the founders of thePanic Movement, an avant-garde performance art community. Jodorowsky’s first feature film Fando y Lis(1967) was a black and white allegorical story where the two main characters move through a post apocalyptic landscape in search for the city of enlightenment. The film caused a riot at its premiere at the Acapulco Film Festival and it was banned in Mexico. Jodorowsky’s second film El Topo(1970) became a hit and, with money from former Beatles manager Allen Klein, he produced his third feature film The Holy Mountain in 1973. Both films are considered cult classics today. After a failed attempt at translating Frank Herbert’s science fiction novel Duneinto film, Jodorowsky continued to produce films and comic books. Between 1980 and 1989 he wrote the celebrated science fiction comic series The Incal. Then followed The Metabarons(1992-2003) and The Technopriests(1998-2016). 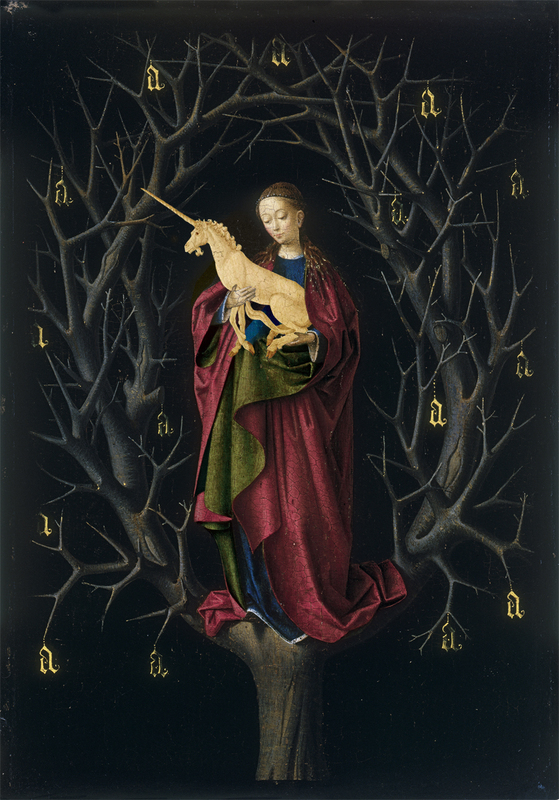 Jodorowsky has also developed his own spiritual system which mixes performance art, shamanism, meditation techniques and Tarot symbolism. He has written books on this system of “psychomagic” or “psychoshamanism” and he offers lectures and tarot readings on a regular basis. The maxims quoted in this book are distilled from the book The Spiritual Journey of Alejandro Jodorowsky (2008). Jodorowsky attributes the maxims, or “commandments”, to the Russian mystic George Gurdjieff (exact date unknown – 1949) and relates how they were told to him by Gurdjieff’s alleged daughter Reyna d’Assia. 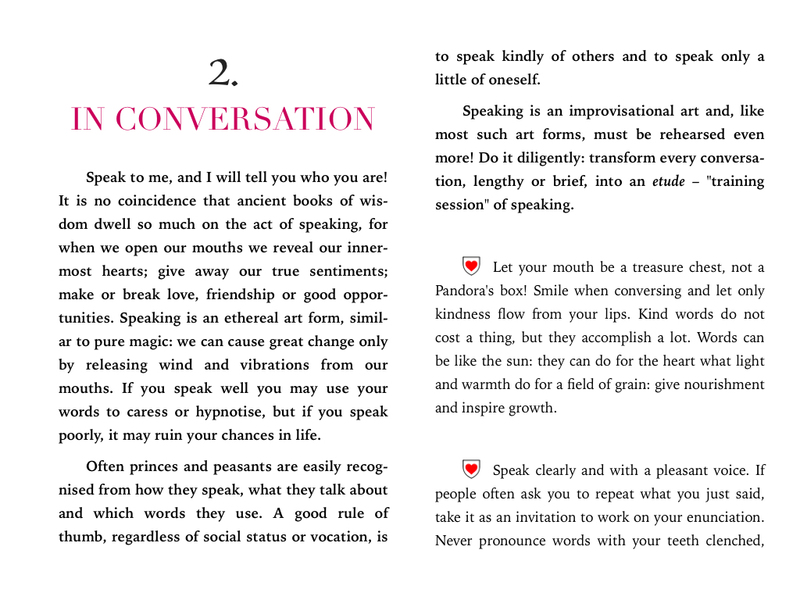 The original 82 commandments appear in the book as a conversation between Jodorowsky and d’Assia. In 2015 Dangerous Minds,an online platform for fringe culture, published an article that compiled the commandments into a list, to allow for easier overview. The bibliography section includes the web address to the original article so that the reader may enjoy the whole list.The comments to the maxims quoted in this book are entirely my own. The advice that you are about to read have proven their usefulness throughout the ages. Each chapter in this book uncovers etiquette tips for all situations as well as philosophical guidance from the illustrious masters of the past. If you enjoy a recent success, the advice within these pages may help you secure your position and open the door to even more fun, fame and prosperity. If you still haven’t found a kingdom or principality to call your own, this book may teach you a few tricks in order to put some haste in your step in your quest for glory. And with that, my brother prince, it is time for you to pick up your crown and venture forth. I hope you will enjoy the ride!